What would you do if you had to solve the California drought in just 6 weeks? Unless you happen to be a drought expert, you'd probably recruit some help, collaborating with experts from different industries. And from their diverse perspectives, perhaps you'd manage to formulate a plan. But as with many circumstances in life, you wouldn't, and couldn't, do it alone. 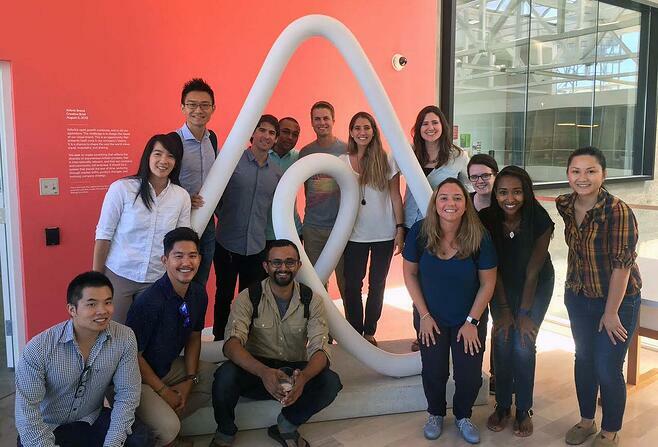 At Berkeley-Haas, we have a longstanding tradition of uniting great, ambitious minds from every industry. We're proud to be a diverse MBA program, one that goes beyond demographics and statistics to value a wide range of life and work experiences. In the Full-time Berkeley MBA Program, our study teams exemplify the potential of what can happen when students with varying backgrounds and experiences collaborate to come up with creative, strategic solutions to current crises—like the California drought. At Berkeley-Haas, you're not just learning with your fellow students—you're learning from them, drawing on your own valuable experiences, while gaining insights from your peers. 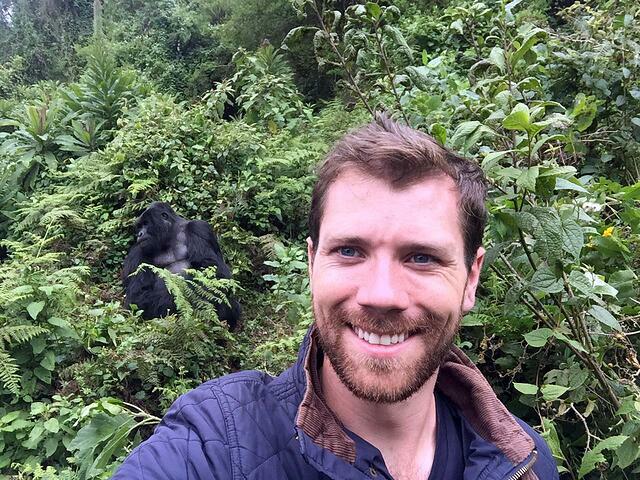 George Roche (pictured in Rwanda during his International Business Development consulting engagement) came to Berkeley-Haas with four years of consulting experience at Deloitte, with a focus on government strategy and operations. George also took a 4-month sabbatical to start a social impact Ethiopian hot sauce company, an endeavor that enables him to be a leader for his group on food industry-related assignments. But George adds that each of his teammates contributed with their own perspectives: "We would all work collaboratively on assignments, drawing from our experiences to apply them to the problem." 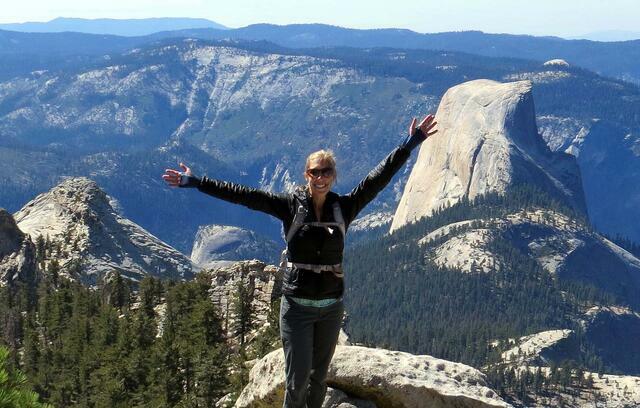 Bostonian team member Christie Howe (in Yosemite) also offers industry-specific insight, with past work at an energy analytics startup. "I’ve enjoyed bringing my own unique voice to the table as a woman in the energy industry," she says. And there's also a more social role that each member fills. "I help keep up momentum on the team," says Christie, "whether that means acting as scribe, engaging people in discussion, taking a step back to be thoughtful about the needs of the group, or providing positive energy if we are lagging." Aurelio Martinez Kalifa, from Monterrey, Mexico, believes his previous experience in banking, as well as his community involvement in Mexico gave him transferable skills to work well in a small team. "Growing up, I was very involved in giving back to my community in Mexico, as I had a lot of opportunities other didn't. I came to understand that if we all work towards a greater good, good things will happen." And Aurelio (2nd from left with his Haas Ragnar Race team) feels supported and appreciated by his teammates. "Everyone is able to be genuine and original. There is something special about the culture at Haas!" Mario Siewert, from Cologne, Germany (pictured above in in the center of the "A"), also feels his background as a consultant at McKinsey gave him applicable skills for study team assignments. Once responsible for extracting relevant information from large data, it makes sense that Mario now leads his teammates in forming quick hypotheses. "My role is often to keep the group efficient after the ideation phase, meaning to quickly move from broad and creative thinking to insight extraction and hypothesis building," he says. And fellow study team member Cameron Scherer, who came to Berkeley from Washington D.C., brings a more qualitative skill set. Cameron believes her previous nonprofit work polished her research and writing abilities, as well as provided a political awareness of the business world. This very perspective helped Cameron make thoughtful contributions to her team when it came to presenting a solution to California's drought. "I helped my team think beyond individuals' daily usage of water to consider a solution that would address the underlying root causes," she explains. While we can't claim to have solved the drought, our MBA study teams continue to tackle real-world issues by playing out Berkeley's Haas's Defining Principles. By questioning the status quo with bold, innovative ideas, and going beyond themselves to lead ethically with others' interests in mind, we're confident they can be part of impactful solutions. You can find out more about what happens in teams at Haas in this post on what students get out of the team experience. 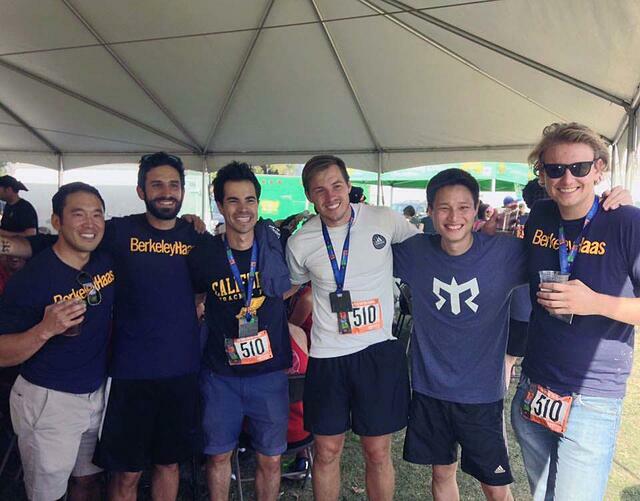 To learn more about the Full-time Berkeley MBA Program, including more on how we use teamwork in our curriculum, visit our website. Morgan is the Executive Director of Full-time MBA Admissions at Haas as well as a graduate of the program. She enjoys making personal connections with prospective students and guiding them through the MBA admission process.